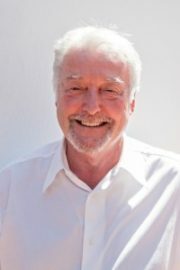 With over 40 years’ experience working within the yachting and private sector, Terry began his career at the age of 20, mastering his skills to become a Chief Steward/PA by the age of twenty-six. He was extensively trained in St Moritz during the 70’s by Madame Pedrini, who was at that time privately responsible for the Shah of Persia’s family residence in Switzerland. Employed by important clients of differing nationalities in accordance with their requirements and requests, Terry’s wide knowledge and experience is second to none. He is extremely professional, and well equipped to train students to the necessary standard required within this industry. 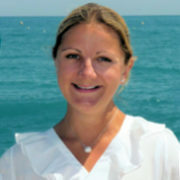 Lucy spent many years in Australia working at Vicsail importing Beneteau, Lagoon Catamarans and Nautor’s Swan yachts. While working at Vicsail, she spent (my) her time on the dock carrying out detailing, rigging, varnishing, gel coat repairs and helping out with deliveries and general maintenance throughout Australia. Lucy would also take clients out sailing on a weekly basis and carry out test sails and calibrations on the boats. Her roles also included organizing boat shows, regattas and test sails of new models Australia-wide as well as throughout Europe. She spent the last four years at Vicsail specialising in marketing and advertising, including work for magazines such as Boat International, Ocean magazine and Yachting World.